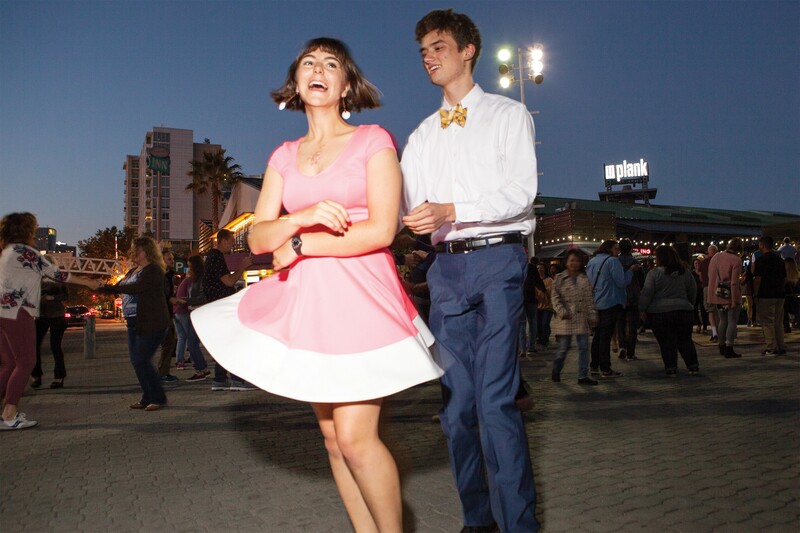 A young couple gives it a spin during Friday night’s Dancing Under the Stars at Jack London Square (page 62). Jeff Chung is a well-known artist and skater in the Bay Area. He launched “Unity Skateboarding” — a skate company for queer skaters — as a way to create room for radical new voices and form a community. This year Unity Mart opened, which is the store connected to Unity Skateboarding, and it now serves as a home for queer skaters and artists in the Bay Area. They offer open events and skate sessions for queer youth. On multiple Saturdays, they have had free Risograph printing for Black and brown artists in the bay. Their new location opened in March and is the best place to grab a new skateboard or a screen-printed T-shirt. It’s a safe space for skaters who don’t otherwise have a place that feels non-judgmental and open. The spot is also home to Lower Grand Radio, a small radio station that plays sick tunes every week. With art up on all the walls and a huge printer to make sick zines, the ‘mart’ is an awesome place to visit and meet some skaters cut from their own cloth. 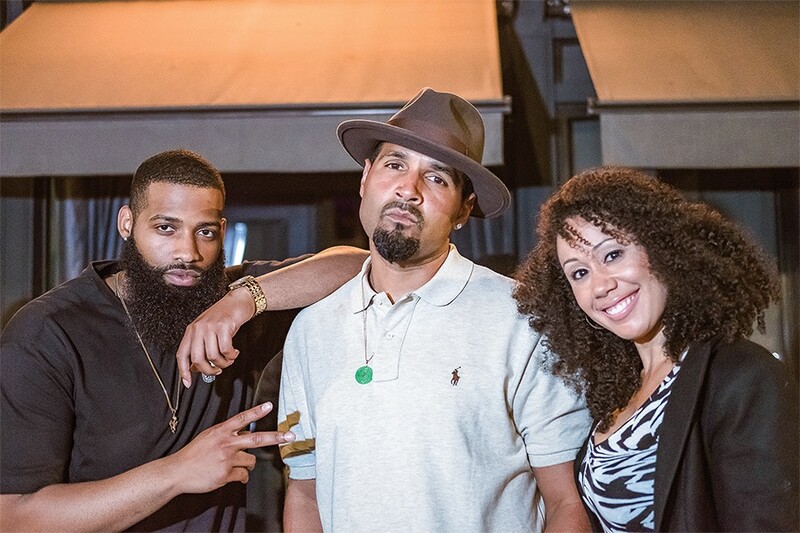 BaySosa, SlapDadi, and OliveOyl: The forces behind TRAPSoul’s dance party on Thursday nights. 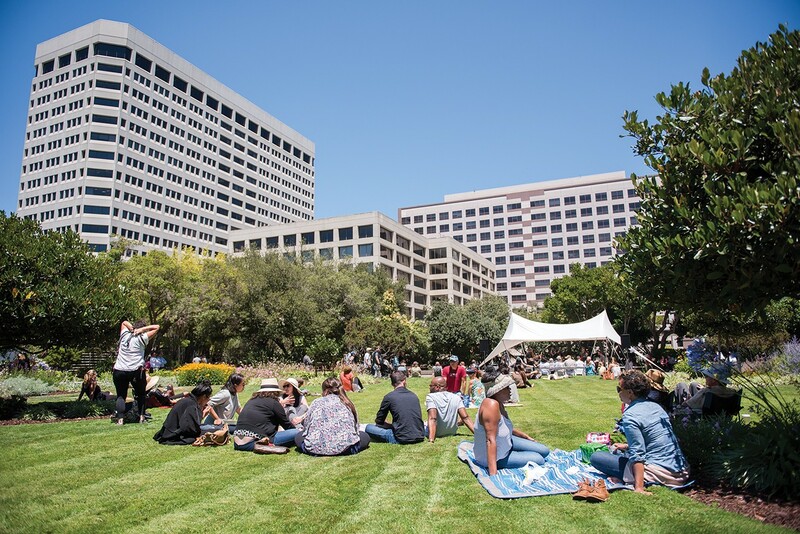 The Kaiser Center Rooftop Garden is a botanical island in Oakland’s skyline, and it’s free to visit for lunch during the weekdays.